Do not be a frog! Quaaack - the plant helper family of Scheurich is growing. 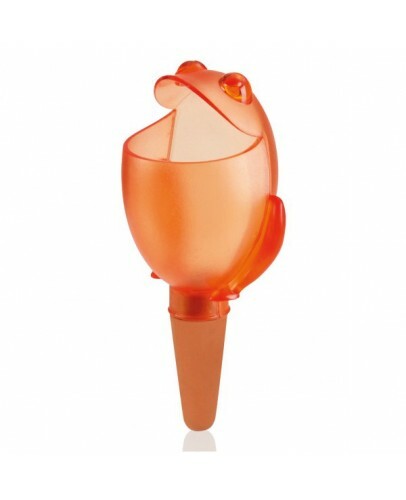 According to the friendly Sunnyboy, a rake and shovel embodied in one person and the water storage bird Bördy, it is now the turn of Froggy to conquer the hearts of plant fans. Like his friends, he is also made out of high quality translucent plastic and available in the four good mood colours of Red, Blue, Green and Orange. Froggy's natural habitat is the flower pot, where he is looking over the edge and is cheekily winking to his owners. At the same time Froggy always has the water supply situation of the plants on his mind. His wide open and expectant mouth can be easily filled with up to 140 milliliters of water and the clay spike releases the water drop by drop into the surrounding earth. When the plants are under the supervision of Froggy you can go away for several days with a clear conscience. 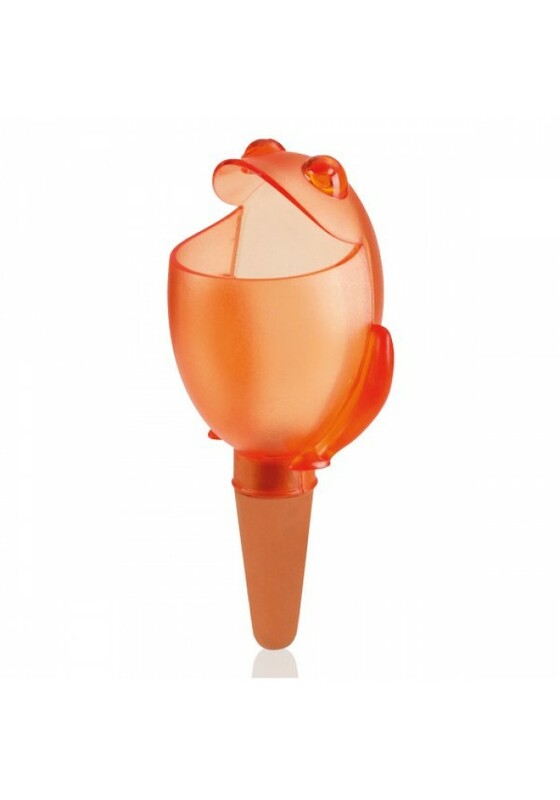 By the way this frog is a great gift, guaranteed to please friends and acquaintances – the smile of these funny accessories can be quite contagious! 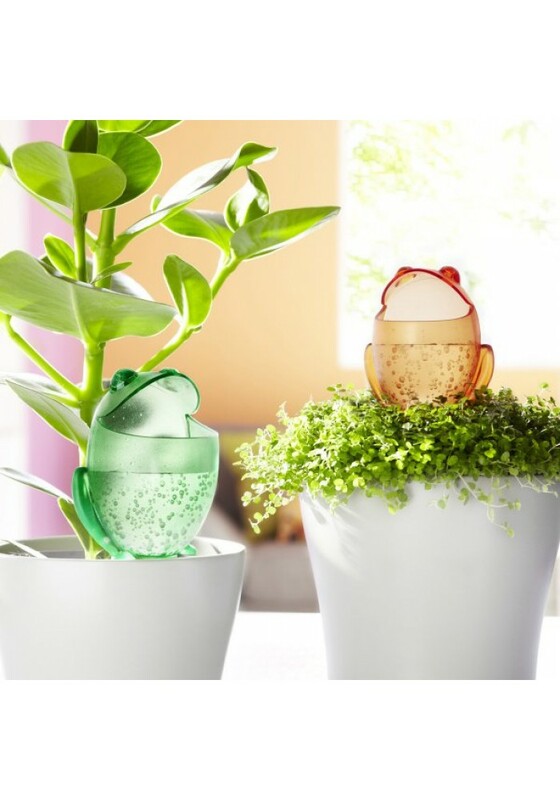 Whether as a useful plant helper or as a stylish eye-catching accessory and gift, Froggy is ‘beastly’ good!